While down at the coast last night waiting for 5.47pm this family walked along the beach .. They had got too far away by the right time ..
With all that has happened in the past 24 hours in NZ it was lovely to see a family taking time out to spend together wondering the beach ... 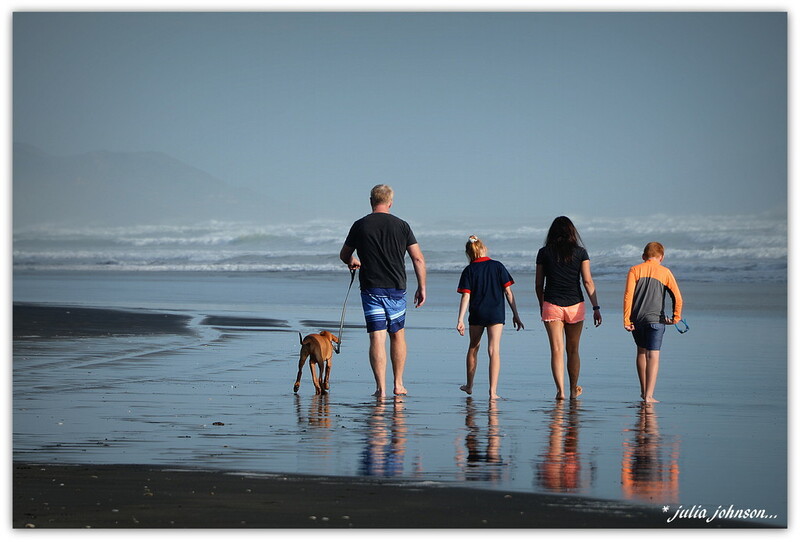 Thank you all for your kind thoughts and sentiments to us in NZ..
Love this family image with their reflections and the waves in the background. Prayers for NZ. A poignant scene given the events today. Lovely! They just stand out so well on that background, and the reflections are just perfect. Warmest thoughts for NZ. A beautiful peaceful family scene. Unlike the horrors perpetrated in Christchurch. How shameful to think an Aussie was responsible, terrorism is inexplicable and unforgiveable. Thinking of you all across the Tasman. @golftragic Thanks Marnie .. been feeling a bit shell shocked today .. This is a lovely peaceful capture. We send our thoughts to all in NZ. A wonderful peaceful image with lovely reflections. @julzmaioro You're not alone in that. A lovely shot, capturing the true face of NZ ! Hard to believe that such an atrocity has happened so close to home! This is beautiful and really appropriate for the WWM. Wish you could have used it. Love this family image. A fantastic shot - love the reflections. Love to NZ. Such a warm and friendly shot. Just the way the real New Zealand is! Such a refreshing capture after all you have been through in NZ. My thoughts are with you all.